The new CEO of the VW group has made his first official speech held in Berlin. He has his arguments and the strategy of the paintings done for the survival of the constructor, after Dieselgate. Dieselgate though the image of Volkswagen heavily damaged, but has little serious impact on the business. 2017 was even an outstanding year and the group looks forward with optimism to 2018. On that basis, should the new CEO Herbert Diess his vision of the future for the VW group explain in his first speech in Berlin, during the annual General Meeting. And he misses certainly no ambition. “The following years will be crucial for our transformation,” he said. The group will change dramatically to a “progressive” pace. 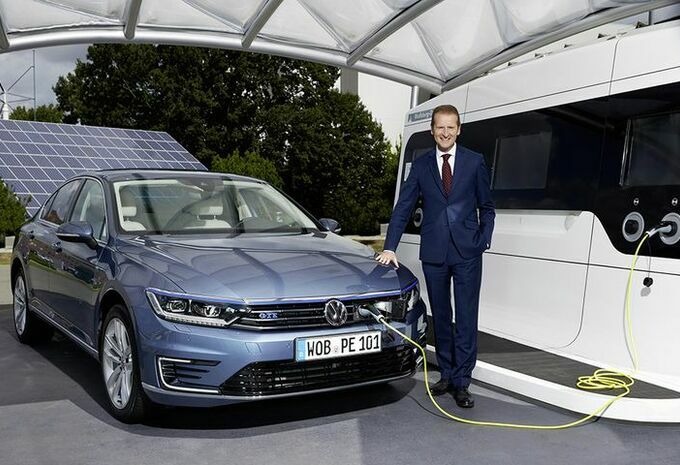 He wants by the way “the transformation of the Volkswagen Group on the basis of the program ‘Strategy 2025’ strengthen, especially in the field of electrification”. But Herbert Diess has one priority: the herald again polishing. He laid the emphasis on ethics, according to a “moral compass”, and with respect for the law. “Volkswagen must be fairer, more transparent and more sincere.” Overall, he expects his company’s “flawless ” citizenship”.